Designworks NW, LLC = Knowledge & Expertise! We’ve been developing and designing websites for over 13 years, however we began offering eCommerce website development and design with WordPress in 2009 because we had so many clients request this service. At the time we used several eCommerce plugin platforms like WP eCommerce, Jigoshop, Shopp, WP eStore, Ecwid and MarketPress to name a few. All of these platforms provided some great features, however they also had limitations and we found that we couldn’t develop and design certain types of ecommerce websites. WooCommerce was released in 2011, however, we didn’t begin developing and designing eCommerce websites using the new e-commerce plugin platform commonly known as WooCommerce until 2012. We quickly realized that WooCommerce was not just your average ecommerce store plugin, so we slowly began phasing all of our e-commerce website build-outs using WooCommerce exclusively. Today, we develop 8 out of 10 e-commerce websites with WooCommerce. 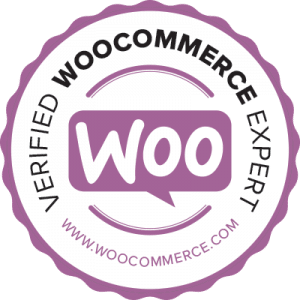 Why WooCommerce is for you? Open Source which means it will continue to be improved by the WordPress community. Simple to install and learn. Customization is limitless in that you are only limited by your creativity. Base store plugin is free of charge, which includes updates as they come online. Compatible with hundreds of theme frameworks. Today, 39% of all online stores is powered by WooCommerce. WordPress Themes: Here’s a list of themes we’ve used in desiging and developing e-commerce websites since 2012. Which, by the way was only a year after its initial release in 2011. Woo Subscriptions, PayPal Powered by Braintree, Stripe Gateway, USPS Shipping, FedEx Shipping, Authorize.net, Ship Station, UPS Shipping, Table Rate Shipping, Dynamic Pricing, PayPal Pro, Product Bundles, Smart Coupons, Gravity Forms Product Add-ons, Memberships, Tab Manager, Name Your Price, Composite Products, Product Vendors, Zapier, Checkout Add-ons, Wishlists, Currency Converter Widget, Newsletter Subscription, Points and Rewards, PDF Invoices, Local Pickup Plus, Cart Add-ons and Chained Products. 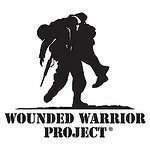 Designworks NW, LLC can get the job done! We have been affiliated and have worked with Woo Commerce since 2011 as both a Woo Worker and as a Verified Woo Expert, which means we have the expertise, knowledge and know how dating back to 2012 and we have worked with, customized and developed themes and extensions compatible to Woo Commerce.